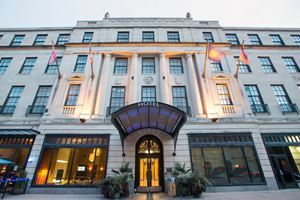 The Magnolia Omaha is the official hotel for the MCMLA Annual Meeting. 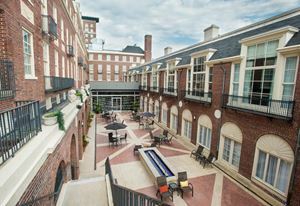 It is located in the heart of downtown Omaha, just steps from the Old Market. 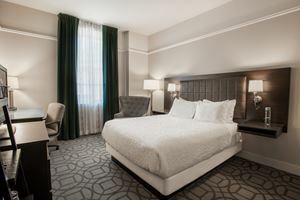 The room rate is $129+taxes per night, which includes king and queen/queen rooms. Book online or call 888-915-1110 can mention the MCMLA meeting. The room rate is also available three days before and after the meeting, if you'd like to take some extra time in Omaha. Book by 6 p.m. CT on September 22, 2019 to secure the rate. Complimentary airport and downtown Omaha transportation. Pet friendly (dogs), all sizes and breeds. No deposit required. Happy Hour from 2:30 pm - 6 pm, daily, featuring domestic and craft beers on tap starting at $4, as well as inventive drinks & food. Nightly fresh, house-made cookies, 8 pm - 10 pm. Free WiFi in guest rooms and all public spaces. Parking/valet - $12 per night.